Evernote allow you to capture information in any environment using whatever device or platform you find most convenient, and makes this information accessible and searchable at any time, from anywhere. 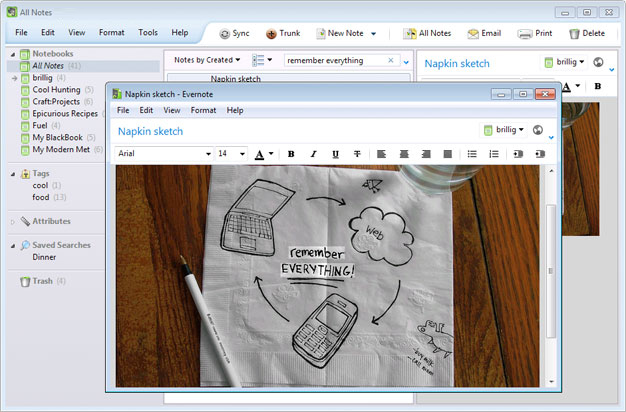 Use Evernote to jot notes, create to-do lists, clip entire Web pages, manage passwords, and record audio. Everything added to Evernote is automatically synchronized across platforms and devices and made searchable. 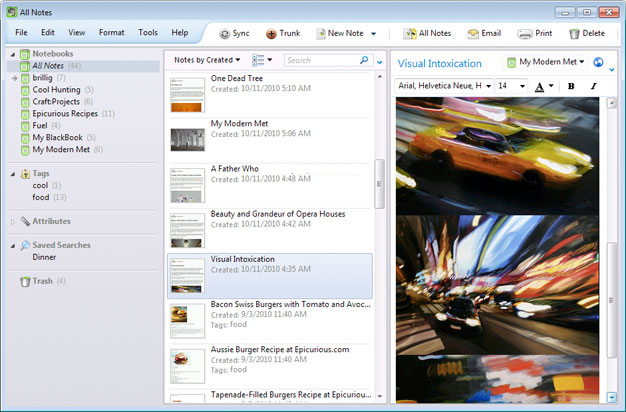 Evernote will even recognize printed or handwritten text in photos and images. Evernote Basic gives you the tools to keep your work effortlessly organized. 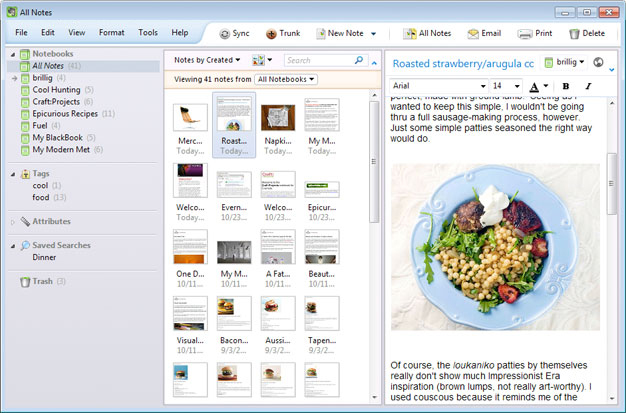 Write and collect ideas in notes, group notes in notebooks, and easily find everything. Share, collaborate, and discuss in real time with the people who help you get your work done without switching apps or leaving your workspace. Everything in Evernote instantly syncs across any computer or phone you use. Start working on one device and continue on another without ever missing a beat.